M. Lizen Manufacturing has over 75 years of experience in designing metal stampings and mechanical springs. Metal stamping from .006" and up to .375" thick. 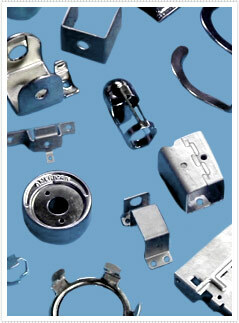 Blanking, forming and deep drawn parts manufactured in all types of materials. Compression, extension and torsion springs from .008" to .375" wire diameters. M. Lizen Mfg is your one stop, full service supplier to meet all of your contract manufacturing requirements.